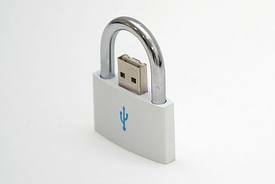 If you want to control the access to your computer beyond just a password then one you can use very own USB drive to do that! Like a secret service agent :) Meaning you hang your USB or a SMALL MICRO USB card in a key chain which would control the access of your laptop or desktop! If someone tried to access your PC while it was locked down, you'll see the activity log when you log back in. One obvious flaw comes with this setup: you'll always be down one USB port.